GE's transmission protection solutions deliver the speed and security necessary for advanced transmission line protection. Our specialized technology teams are well versed in transmission protection theory and build protection and control solutions that can be configured to meet a variety of applications from large to small, underground and overhead. Restoring service to urban areas quickly requires fast and accurate fault location. Maintenance crews rely on the advanced functions of the Multilin L90 line current differential system to rapidly pinpoint the fault location. MiCOM Agile P543, P544, P545 & P546 Line Differential Protection Systems The Agile P543, P544, P545 & P546 range of transmission-class protection relays provide comprehensive line protection for differential, subcycle distance and directional earth fault applications. This range of products is ideal for HV, EHV and UHV applications on lines and cables of any length. L90 Line Differential Protection System The L90, a member of the UR Family of protection relays, is an advanced current differential and complete distance relay intended for application on overhead transmission lines, including series compensated lines, and high voltage underground cables of any voltage level. Both three pole and single pole tripping and reclosing schemes are available. Distance protection has been tuned to meet the rigorous application requirements of IEC-driven end-users. MiCOM Agile P54A, P54B, P54C & P54E Multi-ended Line Differential Protection Systems The MiCOM Agile P54A/B/C/E range provides high speed line differential protection for overhead line and cable applications up to 6 terminals, the MiCOM Agile P54C and P54E utilizes the same field proven hardware as the MiCOM Agile P543 and P545 models, ensuing scalability to support a high density of binary inputs/outputs. For low cost differential application, the MiCOM Agile P54A and P54B offer compact feeder differential protection in a half-rack case. L30 Line Differential System Cost effective Current Differential System	for	high-speed Lines	and	Cables. Part of	the Universal Relay	family,	the	L30	comes with a variety of	versatile features truly integrating protection, monitoring, metering, communication	and	control	in one	easy-to-use	device. MiCOM Agile P541 & P542 Line Differential Protection Systems The Agile P541 & P542 series provide high speed current differential unit protection. They are designed for overhead line and cable applications, interfacing readily with the longitudinal (end-end) communications channel between line terminals. 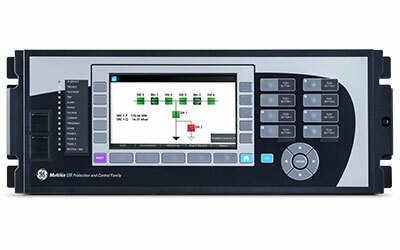 The interface options support direct fiber optic or multiplexed digital links. D60 Line Distance Protection System High-speed transmission line protection with flexibility for three or single pole tripping. 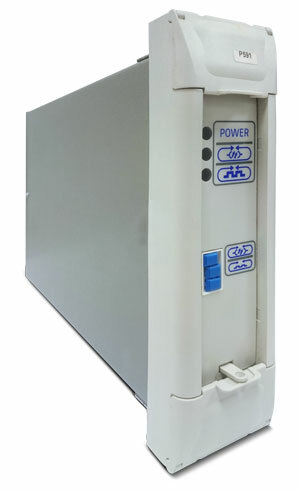 The D60, a member of the UR Family of protection relays, is a numerical line distance protection system, which provides protection for medium to extra high voltage transmission lines and an integrated system providing control, automation, metering, synchrophasors, monitoring and communications in one easy to use package. Use the D60 on applications requiring fast single or three phase tripping, single or three pole re-closing, series compensated lines, with multiple breakers per terminal. Distance protection has been tuned to meet the rigorous application requirements of IEC-driven end-users. Distance protection has been tuned to meet the rigorous application requirements of IEC-driven end-users. Distance protection has been tuned to meet the rigorous application requirements of IEC-driven end-users. MiCOM Agile P441, P442 & P444 Distance Protection Systems The Agile P441, P442 and P444 numerical full scheme distance relays provide flexible, fast and reliable protection of transmission and sub-transmission lines. 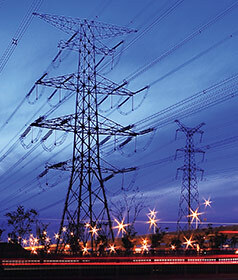 They include full scheme 5-zone distance, plus aided directional earth fault (DEF) and comprehensive backup protection for utility lines and cables at all voltage levels, particularly oriented towards transmission grids. MiCOMho Agile P443, P445, P446 Distance Protection Systems The MiCOMho Agile P443, P445 and P446 relays operate with advanced load blinding and disturbance detection techniques, such as power swing blocking, to ensure stability when no tripping is required. Whether protection is required for lines, cables or hybrids of grounded transmission and distribution circuits, the MiCOMho Agile P443, P445 and P446 relay characteristics allow for versatile deployment. D30 Line Distance Protection System Cost effective, High-speed, three pole, primary and back up distance protection. The D30, a member of the UR Family of protection relays, is a Numerical line distance protection system, which provides primary protection for sub-transmission lines, backup protection for MV to EHV lines, generators and transformers. D30 features a true convergence of protection, control, automation, metering, monitoring and communications in one easy to use package. Distance protection has been tuned to meet the rigorous application requirements of IEC-driven end-users. MiCOM Agile P841 Line Terminal Protection System The Agile P841 is a multifunctional line terminal IED for control and back-up protection in transmission and sub-transmission feeder bays. The P841 provides management of single or dual breaker autoreclose logic schemes with synchrocheck. MiCOM Agile P842 Mesh-corner DAR Using real-time, high-speed peer-peer communication facilities over the ethernet, the MiCOM Agile P842 provides a distributed scheme for delayed auto-reclose (DAR) and auto-isolation of a mesh bus station. MiCOM Agile P44T Catenary Distance Protection System The MiCOM Agile P44T is a multifunctional device, supplementing distance main protection with a host of backup protection, thermal protection, recording, control, measurement and monitoring features. MiCOM Agile P59x Electrical Communications Interface Units Used alongside the P54x current differential relays and other relays with InterMiCOM64 interface, the MiCOM Agile P59x (P591, P592 and P593) units securely connect to remote pulse code modulation multiplexing equipment. The internal modem used in the interfacing device ensures fast operation of the differential protection. MiCOM Agile P547 Phase Comparison System The simple protection principle and scheme of GE's Agile P547 phase comparison relay enables fast fault clearance times. The P547 provides comprehensive phase comparison line protection including unit protection, subcycle distance and directional earth fault (DEF) for single and three pole tripping applications. Not finding the transmission protection product that you’re looking for? View legacy transmission protection products.